Digital Pacific have partnered speedtest.net to provide quick and easy speedtests! 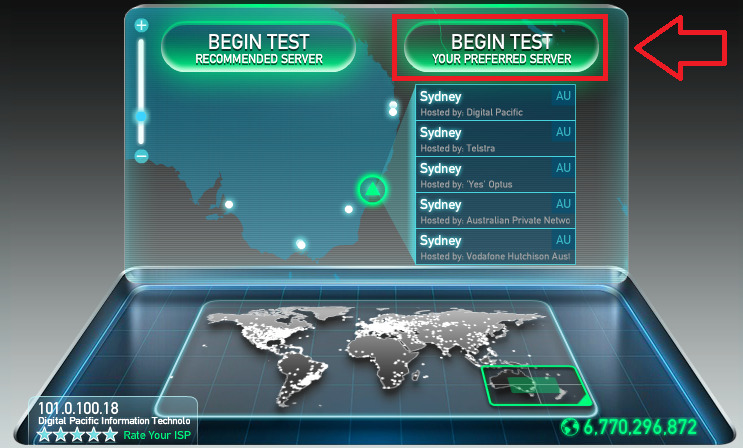 If you would like to test your connection, please visit http://digitalpacific.speedtest.net/ and click on "Begin Test (Your Preferred Server)". Digital Pacific utilises smart Networking tools such as Noction which is an Intelligent routing platform which can influence routing paths to improve Network performance. If you are running a Dedicated Server or VPS, you can use a tool such as wget to download the files listed above!